Skyworks Aerial Systems is a Las Vegas team of developers, engineers and designers who are passionate about bringing down the barrier to robotics. The startup is comprised of recent graduates from UNLV. The interdisciplinary team have worked on award-winning world class projects such as Solar Decathlon. The team took grand prize in 2014 Southern Nevada Business Plan competition and was voted “most promising early stage start-up” by TBAN (Technology Business Alliance of Nevada). 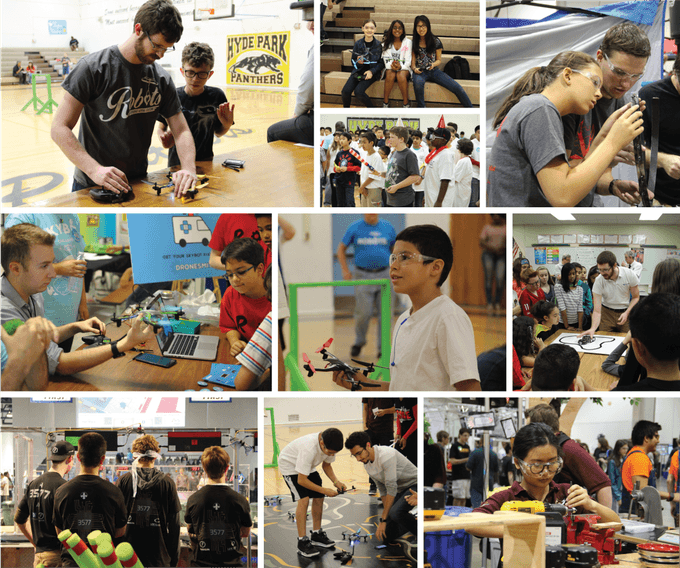 Through the team’s STEAM outreach in Las Vegas, they saw many schools were interested in having drones and robotics classes. However, the schools were under equipped to provide a full curriculum around it. 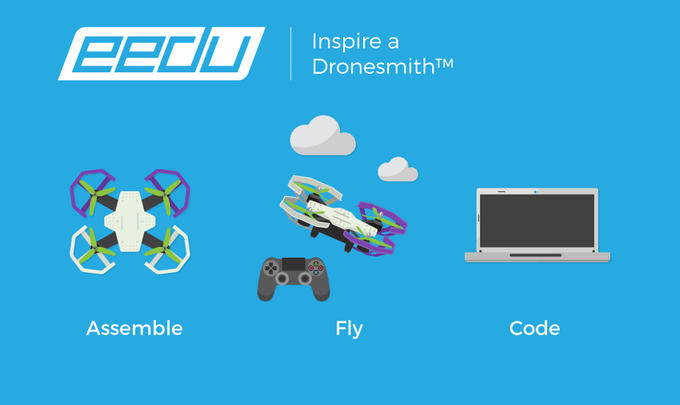 Their work in schools sparked the team’s idea to create Eedu, an easy-to-use drone kit. Designed with simplicity in mind, it’s a hardware and software platform that enables inventors who want to create new drone applications. Zeng and the team have tips for those in the #VegasTech community who are looking at using Kickstarter as a platform to crowdfund their next idea. 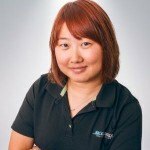 Zeng said she and the Skyworks Aerial Systems team hope to harbor the success of their Kickstarter to build a community in Forge, which is the software platform where dronesmiths will be building their drone apps. “We envision everyone will be able to collaborate on ideas and showcase their portfolios. We see this will truly accelerate innovation in the drone space. And if introduced to more schools, we can transform the current STEAM workforce, and retain more students’ interest in going into science, technology or even creative industry such as interactive arts,” she said. Get involved in the Skyworks Aerial Systems Kickstarter campaign. Learn more, back the campaign, and share it with friends here!